Mexico City - Central American migrants resting in Mexico City debated which route they should take to the border and what options were available to them in Mexico and the United States ahead of a vote on what their caravan’s next step should be. 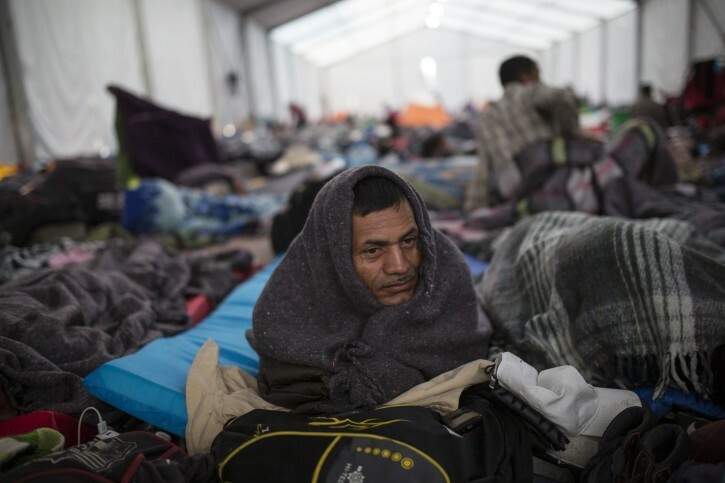 On Wednesday, Christopher Gascon, the Mexico representative for the International Organization for Migration, estimated there are about 6,000 migrants at the Jesus Martinez sports complex in Mexico City and maybe another 4,000 in caravans that are working their way through southern Mexico. “They perhaps didn’t have a very clear idea of what they faced,” Gascon said. On Wednesday night, a bus left from Mexico City to return 40 and 50 people to their countries of origin. Pereira, who still wears the same cheap plastic sandals he left Honduras with a month ago, said he has a novel approach to getting into the United States.